Daniel McCoy is a native of Pittsburgh, a 2012 graduate of Fox Chapel High School and 2017 graduate of the University of Pittsburgh. Dan was born with Spina Bifida and Hydro cephalus. At the age of six, Dan began playing sled hockey, an adaptive form of ice hockey for individuals with physical disabilities. He is currently the captain of the Pittsburgh Mighty Penguins Adult Sled team and a 5-time member of the US Men’s National Sled Hockey Team. 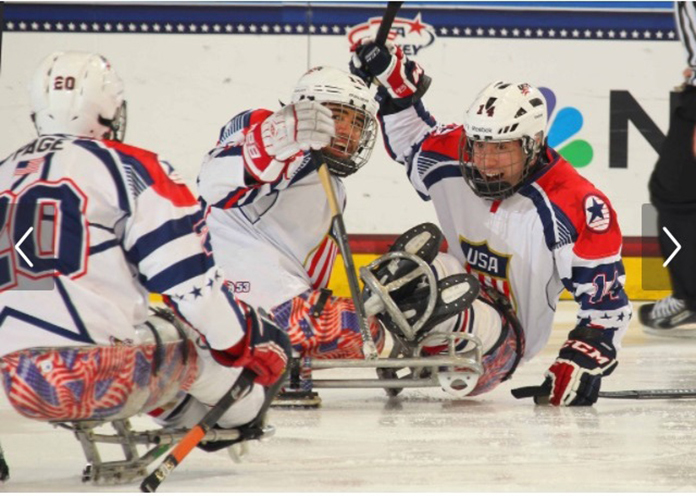 At the age of 16, Dan was selected to the US Men’s National Sled Hockey team after playing two years on the US Junior Sled Hockey team. Dan was named 2010 Rookie of the Year. The team travels nationally and internationally for competitions. In the 5 years on the team, Dan has traveled throughout the United States, Canada, Japan, Norway, South Korea, and Russia. 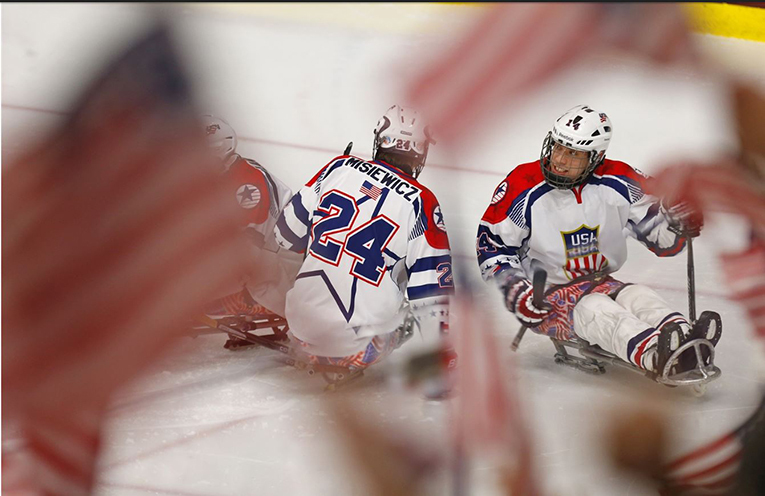 Dan was selected as a member of the 2014 Paralympic Sled Hockey team and traveled to Sochi Russia in March 2014 to compete in the 2014 Paralympic Games. Daniel had 2 assists and was a +3 in the tournament in which Team USA went on to win the Gold Medal with a 1-0 win over the host team Russia. 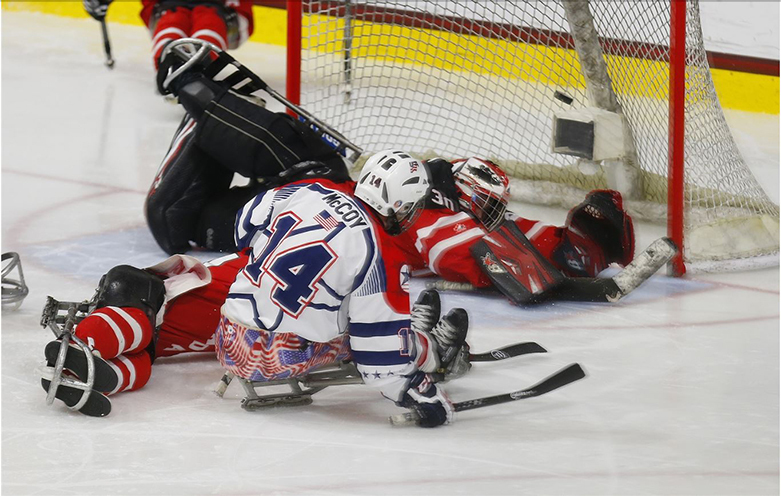 Recently, Dan played for the US National Team in the 2015 World Sledge Hockey Championships in Buffalo. 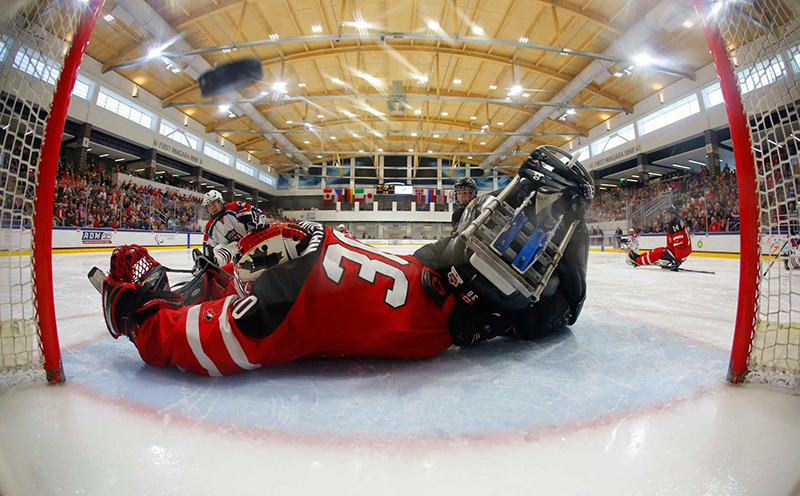 Daniel scored a goal in the gold medal game in which the US defeated Canada by a score of 3-0. In addition to sled hockey, Dan enjoys handcycling, playing drums, and guitar. Dan is personal trainer with his own business called Dan McCoy Fitness. He is pursuing his master’s degree at the University of Pittsburgh while setting his sites on paracanoe in the 2020 Tokyo Summer Paralympics!